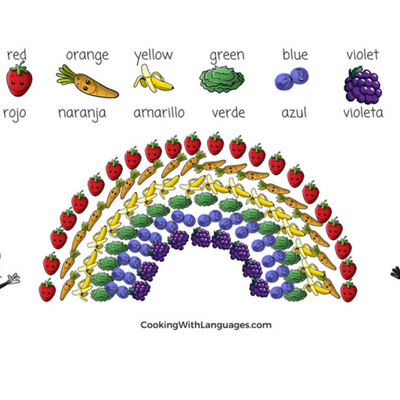 Bienvenidos/Welcome to Cooking With Languages. 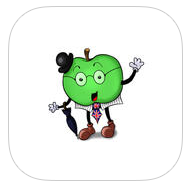 Fun, easy to use apps for young language learners! 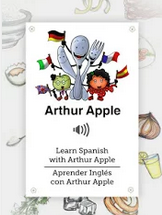 – Our cute and fun-loving language assistants, Arthur Apple and Nerea Naranja, make language learning fun for children. – Listen to them speaking in either English or Spanish and repeat what you hear. No more worrying about how to pronounce those new foreign words. With our help, you and your children will sound like natives in no time, without getting hung up on spellings and grammar. 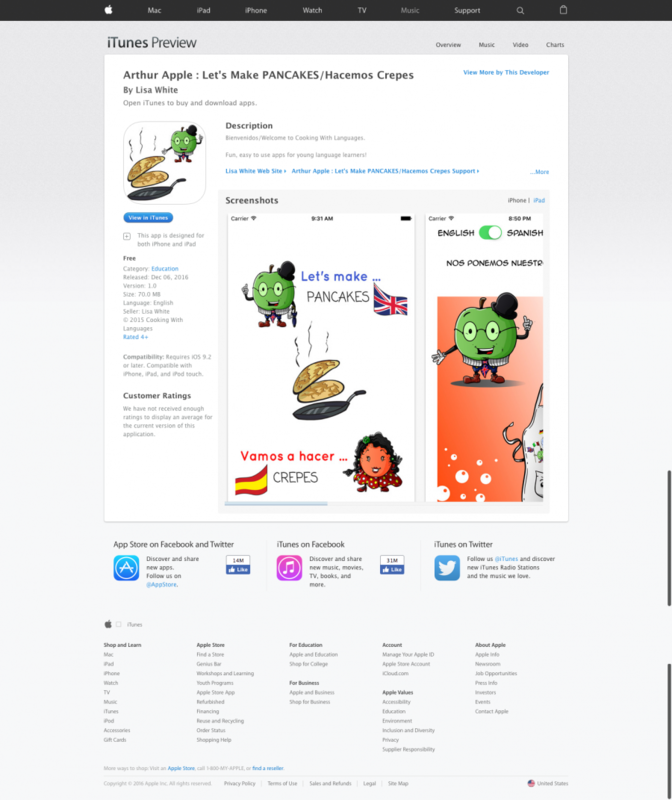 – Our RECIPE apps are easy to follow recipes that you can listen to, in English or Spanish, as many times as you like. – You will learn new words and hear the correct pronunciation. – Follow the simple instructions and make something simple and scrummy too! 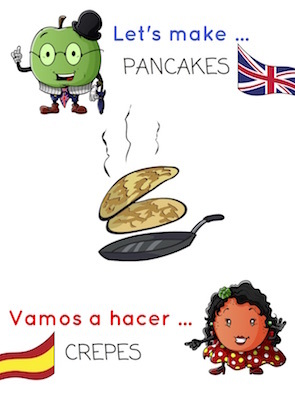 All our apps complement our BILINGUAL ACTIVITY COOKBOOK, available for download or delivery now.